Use 2 sheet pans if you need to so chicken and veggies are in a single layer. Add any veggies you like. Use pesto from the refrigerated section of the grocery store, or make your own! 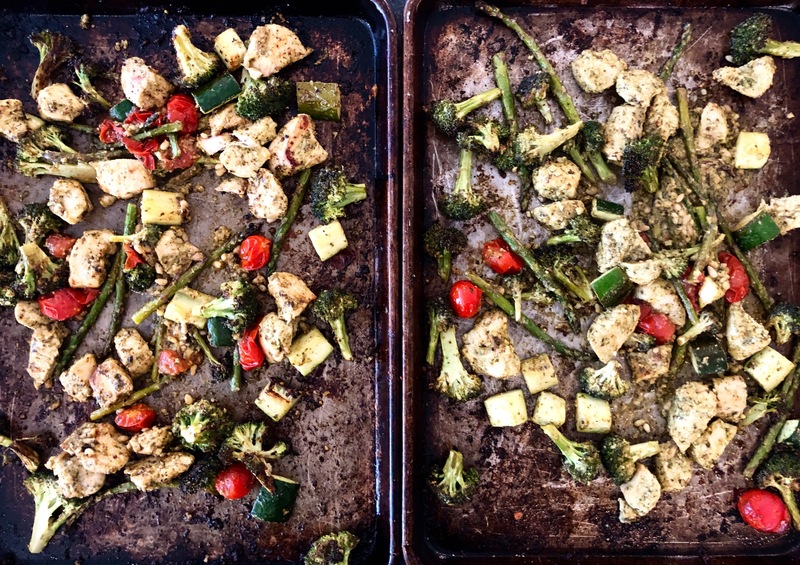 Place chicken and vegetables on a sheet pan and add pesto. Toss everything together to cover it all in pesto. Bake at 425° for 10 minutes, stir, and cook another 10 minutes (20 minutes total). Serve with pasta, tortellini, rice, or cauliflower rice. Copyright © 2019 Our Everyday Dinners - This is an easy recipe for how to make Pesto Chicken Sheet Pan Supper.